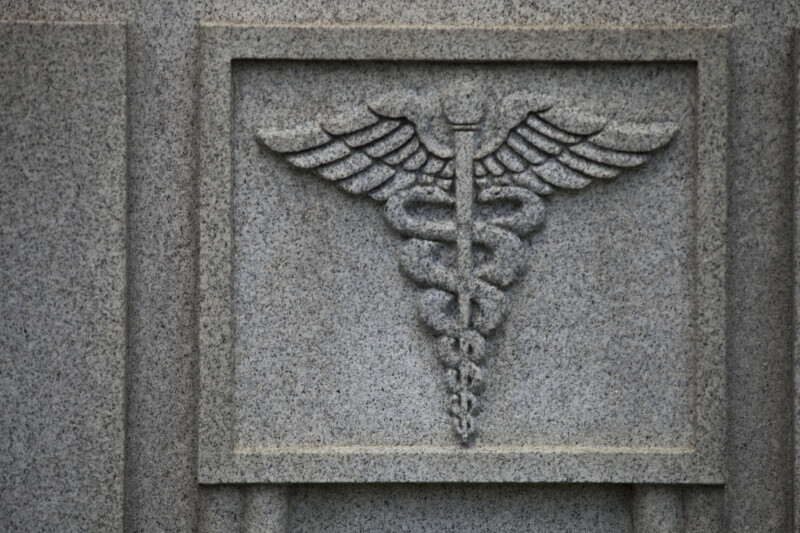 Winged rod of Hermes (known as a "caduceus"), on a memorial at Arlington National Cemetery. It was adopted by the US Medical Corps as a symbol of medicine, a practice which later spread in the United States, but it originally represented commerce and merchants. The Rod of Asclepius, which features a single serpent on an un-winged rod, is the traditional symbol of medicine and healing.